ANCHORAGE -- Several conservation and Alaskan Native groups submitted a Request for Adjudicatory Hearing today related to the State of Alaska Division of Spill Prevention and Response (Division) Final Decision of the Plan Approval for Buccaneer Alaska, Inc.’s Oil Discharge Prevention and Contingency Plan (C-plan) for oil and gas exploration activities in Northern Cook Inlet. The Groups which include the Center for Water Advocacy, Alaska’s Big Village Network (ABVN), Alaska Inter-Tribal Council, Cook Inlet Marine Mammal Council said that the Appeal is necessary because the C-Plan fails to protect the unique natural resources of Cook Inlet as required by the State’s Best Available Technology (BAT) standards as it applies to secondary relief well capacity. The Request is an opportunity for local and statewide conservation groups, and fishing and hunting communities to address the public process and effectiveness of C-Plans in response to oil spill or blowout. 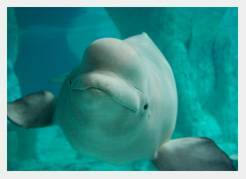 Alaskacommunities need assurance that the State of Alaska accepts adequate C-plans that protect aquatic habitat, multi-use fisheries of Cook Inlet, and species like the endangered Cook Inlet beluga whale. The State of Alaska Department of Environmental Conservation (ADEC) maintains that it has the strongest oil and gas spill prevention and clean-up standards in the United States; however, the ADEC Division which retains oversight authority for oil spill clean-up, often fails to enforce such standards and works to weaken them. CWA Board member, Nikos Pastos says “the Final Decision of approval guts the C-Plan regulations and Best Available Technology (BAT) standards by deferring to Buccaneer's discretion for on-the-ground decision-making regardless of the commitments and standards listed on paper, and hides critical decision-making from public view. We don’t want another BP Deepwater Horizon disaster in Alaskawaters." With the recent expansion of oil and gas drilling in Cook Inlet, the risk to the unique marine habitat and natural resources of the Inlet, from oil and gas spills and blowouts, is greater than ever.